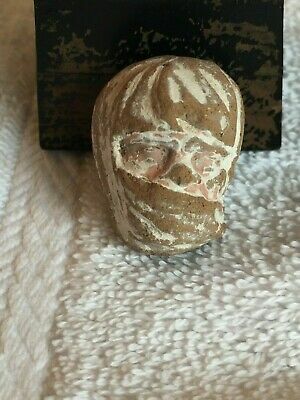 Diminutive Ancient Terracotta Graeco Roman FEMALE Head with NIQAB Fragment 1"
Popularity - Very high amount of bids. 76 views, 3.8 views per day, 20 days on eBay. High amount of views. 1 sold, 0 available. Very high amount of bids. 76 views, 3.8 views per day, 20 days on eBay. High amount of views. 1 sold, 0 available.